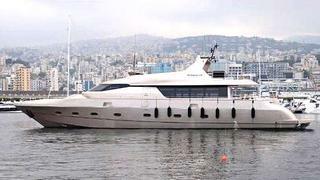 Another motor yacht comes on the market as Jose Arana Jr at Fraser Yachts lists the 30.48m Interceptor XII for sale. Built by Spain's Rodman yard in 2005 and refitted in 2013, she accommodates four guests in a master suite and VIP stateroom while twin 1675hp Caterpillar engines give her a cruising speed of 21 knots. Interceptor XII is asking €2.9 million.